The first observation I make at this point is that there is a great difference between the mind and the body, inasmuch as the body is by its very nature always divisible, while the mind is utterly indivisible [AT VII 85]. When Descartes says that the mind and the body belong to difference substances, he does not mean by that that the mind is disembodied, rather that even though the mind is embodied (for this in as sense is what distinguishes us from God) it must be conceived as something separate from the mind. This is why Descartes writes that we should not conceive of the relation between the mind and the body as though the mind were like pilot in a ship (1). The difference being that the pilot does not feel the water against the ship’s bow, even if the pilot is directing it, but I do feel the ground against my feet when I am walking. So the problem for Descartes is how it is that these two substances communicate with one another, even though they are different substances. The answer to this question is the brain, and a certain part of the brain that Descartes calls the pineal gland. It is this causal chain of relation between the body, the brain, the pineal gland, and the mind, that explains why our sensory ideas, unlike our purely intellectual ideas, can become confused. The body is so constructed that the movement of objects in the external world is communicated to the nerves. This motion is then communicated to the brain. In the movement, however, from the brain to the mind, via the pineal gland, confusion can arise, because the same movement in the brain can cause in the mind different ideas. Or equally there can be a movement in the nerves and the brain that causes an idea, but there is no corresponding sensation. The classic example for Descartes here is the experience of a phantom limb, where I still experience having a foot, even though I know that it is missing (3). We might think there are many problems with this description of the interaction between the mind and the body. First of all, we know Descartes is completely wrong about the function of the pineal gland (4). But even if Descartes’ physiological explanation were correct, or we were to translate it into our current scientific knowledge of the function of the brain in terms of electro-chemical relations, then this causal description would still appear to be flawed. Bernard Williams describes this problem very well (5). Because of Descartes' metaphysics, he has to conceive of the body and the mind as being “two sharply delimited classes” and thus has to get involved in the problem of how two very different things can interact. For Williams, there are two “levels” in which this kind of “interactionism” is unsatisfactory. Firstly, how the “immaterial mind could move any physical thing”, and secondly that even if we accepted that something immaterial can move something material, then this does not explain how one actually lives in one’s body, or as Williams describes it “one’s ability to move one’s body at will”. 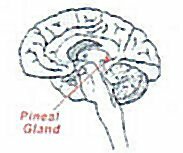 Now it is Williams’ argument that is it is absurd to say that I will the pineal gland (or my brain for that matter) to move and then the movement of the pineal gland that causes, for example, my arm to move. Isn’t better to say, that my movement of the arm is the willing itself, rather than that I will to move my arm and then the arm moves? Put your hand next to some object, such as the book and ‘will’ the book to approach your hand: nothing happens. Now ‘will’, in the same way, your hand to approach the book. Still nothing happens (291). This phenomenological description of the body, however, must be linked to more fundamental ontological analysis, and here we might turn to the work of Martin Heidegger. For Heidegger, Descartes’s description of the consciousness is phenomenologically incorrect for it is held in the sway of an ontology that takes the categorical notion of being to be primary. This leads to the paradox that even though Descartes distinguishes between human being and material things, since only human beings are capable of conscious thought, this consciousness is still thought through analogy of the ontology of things; that is to say it is still thought of in terms of substance, even though it is a mysterious substance that has no extension (6) . Every interpretation of the world, Heidegger argues, begins with some being in that world, but philosophy tries to get rid of that being so as to get at the world itself. Thus it oppose the “subjective” as opposed to the “objective” view of the world, the latter meant to the picture of the world as it is in itself, rather than from the point of view of that being who encounters the world. Thus for Descartes extension is the objective interpretation of the world that is legitimated through the existence of God. It is what the world is in itself. To know something is know it via essential attributes. The essential attribute of nature is extension. This is the real being of the world. Extension must already be there, that is to say created by God, for there to be anything at all. Thus everything that is, including my body, are modes of extension. Heidegger asks where does this idea of extension come from? It is does not come from God, rather it comes from a being that is already involved in a world in a certain way. The very thing that philosophy denies when it make the split between subjective and objective views of the world. We must for Heidegger then ask a hermeneutical question, which is why does this particular view of the world come from. Descartes presents the Meditations as though he came to this viewpoint himself in absolute isolation, but we know that his view that the world is just extension comes from his scientific investigations, and these investigations cannot be separated from the science of the 17th century and the cultural forms that determine it. Descartes is anything but alone when he begins the meditations. Thus when we think about the definition of the world as extension we must think about what kind of involvement in the world this idea already presupposes. It presuppose that the only true involvement in the world is a scientific one and more specifically the mathematical sciences. The world only has a meaning in relation to humanity, and its Descartes' appeal to theology, the existence of God, that conceals this truth, but is the meaning of the world first of all scientific, does not the world already have to have cultural and historical meaning, for something like 17th science to be possible? It seems that Descartes is putting the cart before the horse. (1) See reference to this remark in A. Kenny, ‘Mind and Body’, in Descartes: A Study of his Philosophy (New York: Random House, 1968) p. 279. (3) Op. Cit., Kenny, “Mind and Body”, p. 216. (5) Bernard Williams, ‘Mind and its Place in Nature’, in The Project of Pure Enquiry (Sussex: Harvester Press Ltd., 1978) pp. 278-303.